Join us for a magical evening at Out Loud HSV's Paperback Prom and the Wizardry of Words! 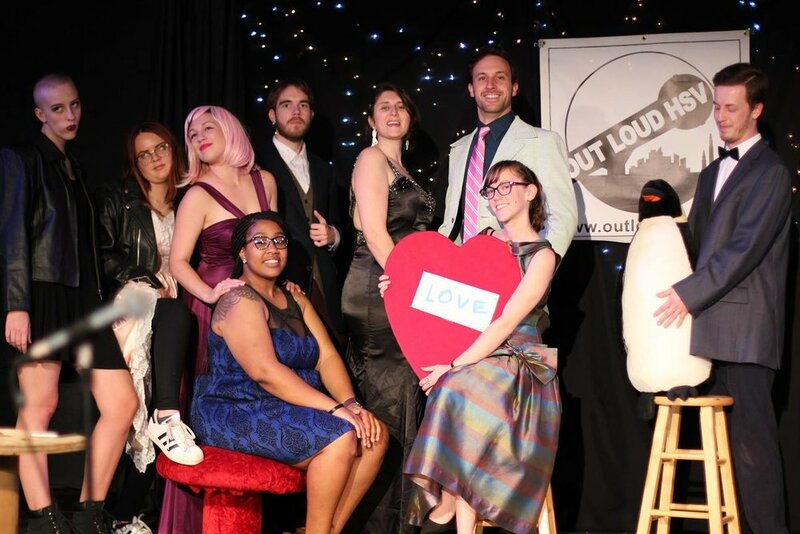 On May 11th at 7pm get dressed up in your prom clothes or representing your Hogwarts house and join us in the Barking Dog Arts Theater for music, raffles, snacks and punch, photo opportunities, open mics and more, all to help raise funds for the 2019 Out Loud HSV Poetry Slam Team. Our open mic will be wizard themed, so bring your most bewitching work to share! Bama Ben will be hosting our beard competition - randomly selected judges will vote on this runway style competition! 3 categories - length, people’s choice, and wisest wizard. Fake beards welcome. Tickets are $10 in advance, $12 at the door. Click here to purchase advanced tickets.